This is one of the rarest and first leather football helmets. 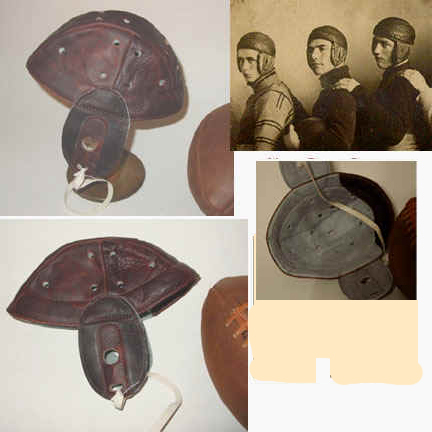 Soft, very thin leather, very thin padding, earliest helmet. It was created to protect from the dreaded "cauliflower ear". Simple and very little protection. Created exactly from a museum sample. 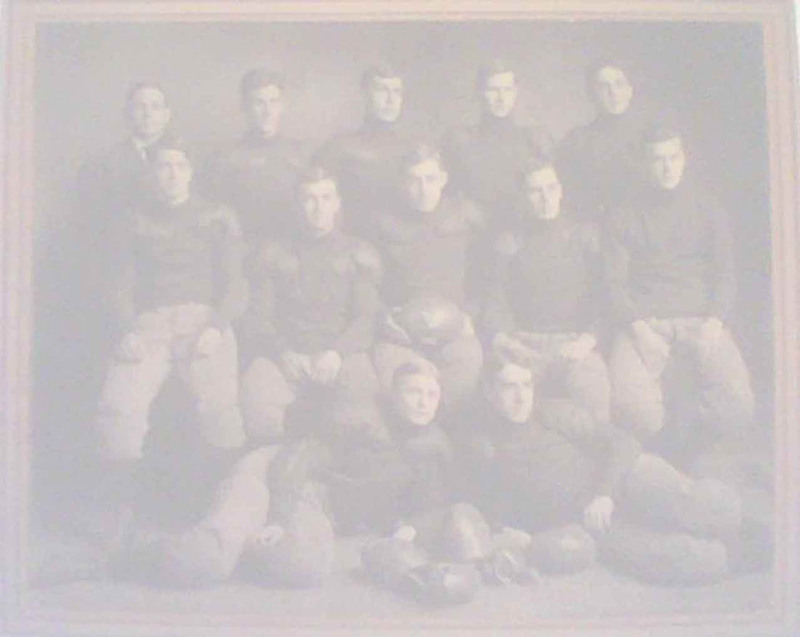 It still didn't provide much protection and President Teddy Roosevelt's proposed legislation almost wiped out the game because of the high death rate. 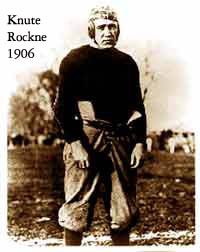 "Bashed heads and paralyzing concussions continued in the game." Made of fine Bulls Neck aged and tanned leather. Distressed dark leather to give it the 100 year old look and feel. Made exactly from an old helmet in our collection. This is the legendary one that could be folded up and put in a players pocket. Remember to get a helmet stand to display your purchase.